I started selling on Poshmark a couple years ago with no initial knowledge of the platform. At first, I thought I wouldn’t have a chance of selling anything without getting thousands of followers first. 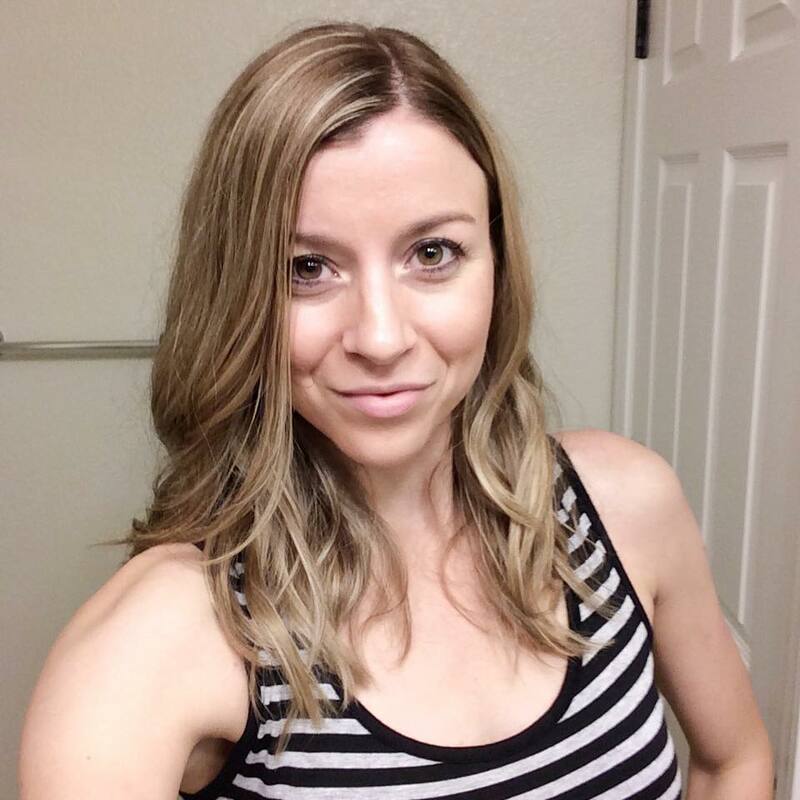 Selling on Poshmark is actually a lot easier than people think! The biggest issue I see is in the listings themselves. You can share your items all you want but if they aren’t getting in front of the RIGHT audience, then they probably won’t sell. By using the tips below, I was able to become a top 10% seller on the app within just over three weeks of making my first listing. So how do you make sure your item crosses the eyes of your target buyers? Let’s take a look. I’ve seen a high percentage of Poshmark users post listings that say “cute top” or “red shirt” in the title. Although this may be true, is this really effective? There could be tens of millions of search results in Google for “cute top” which means that no one is going to find your listing amongst all of those. This is where SEO (search engine optimization) comes in. Your goal here is to tell the search engines what your listing is about so that it can display it to the proper audience. When selling any item on Poshmark, one of the best ways to do that is to research the name of your item. For example, lululemon names each one of their items. So instead of saying “active tank top”, you may find that it’s called the “flow Y tank top”. It’s much more specific than “active tank top” and if someone is searching for a lululemon Flow Y tank top, then odds are that your listing is going to show up in the Google Images results in a much higher place so that more people can find it (and hopefully buy it). Now that we have your title taken care of, let’s talk about how making a detailed description can help when selling on Poshmark. Although Poshmark gives you a decent amount of space to type, you are still limited in the amount of characters you can write. From there, I start to explain any details I know about the item. Measurements are really important to a lot of buyers, so go ahead and have those on-hand in your description to avoid all the back-and-forth in the comments. Second, list out the materials of your item if you know them. Again, some buyers are very particular about the type of fabric they buy, so be honest and explain in full what all of the materials are. Finally, and most importantly, make sure to mention any damage that the item might have. You need to look over your item VERY closely to make sure that you didn’t miss a small hole or stain. If for some reason the buyer finds it and you didn’t list it, they can open a claim with Poshmark and then there goes your money! If your item doesn’t have any damage, you can type something like “no stains, holes, or other damage” just so that the buyer knows you’ve checked. No matter what you’re selling, you should ALWAYS be honest in your listings and give your potential customers all the information they would need to make the best purchase decision possible. Look, I know you may have spent $100 on something and you don’t want to get anything less than $80 for it, but that’s just not how resell works. In reality, you should look to sell your NWT items for 40-50% off retail and your other items at least 60% off retail. Keep in mind that when selling on Poshmark, the buyer pays for shipping and the company also takes 20% of your sales. I know it seems steep, but you do have access to over a million users on their app and their platform ranks well with Google, so you’re bound to reach your target audience if you follow the SEO guidelines above. Selling on Poshmark may require a little more groundwork, but the tip I’m about to share with you helped me recently sell a pair of boots in less than 24 hours. The first thing I did was search similar listings to my item (same brand, item style, size, etc.). For me, this was black leather boots by Harley-Davidson. I then went through the listings that had a decent amount of likes and started following the users who liked that particular listing. This creates a notification for them when they login and will often entice them to look at my closet. I made sure to share my boots so that they were regularly at the top of my profile and in plain view (super important). Sure enough, I started getting more likes right away and even closed a sale the next morning! Remember: You can also do this for items that have previously sold on Poshmark! Poshmark only allows you to upload four photos with each listing, so I recommend downloading a collage app and combining some of your photos with that so the buyer can get more views of the item. This is especially important if your item has damage – you’ll want to document all of it! Again, this is for your own protection so that the buyer can’t go back to Poshmark and say that you didn’t provide evidence of the damage. This will also prevent a lot of comments from people asking you to describe the damage and give a location of where it’s at. A simple photo can take care of all of that for you! When you start selling on Poshmark, you’ll notice that they provide you the option of using filters on your cover photo when you upload it. Because you want people to see what the item is really like. Filters can be misleading and could ultimately prevent you from getting a sale. Instead, I recommend using an app like Snapseed that allows you to adjust the brightness of your photo without making the product look different than it should. I personally like using the brush tool and then choosing exposure to make the background of the photo bright, but then I leave the item as-is. When I list it, the item almost pops because the background isn’t dull and dark. Give it a shot and see how much of a difference it makes. Sharing is the best way to interact on Poshmark, so you’ll want to dedicate at least some time each day to sharing other people’s listings and following them. Most of the time, other members will return the favor and share your listings as well! This is another great way to get the word out about your item because you never know who could be browsing through the app for something to buy. As the seller, you are responsible for printing the prepaid shipping label, packing the item, and dropping it off at the post office. While you are given a set timeframe to ship your item, I highly recommend getting it sent off ASAP because 1) it’s great customer service, and 2) you’ll get your money sooner (because payment isn’t deposited until the buyer accepts the item, or three days have passed since the item was delivered). I have priority mail boxes (not the flat rate ones) sitting in my closet so that I can immediately pack up an item once it sells. I’ve noticed that having a faster shipping window has helped me to get better reviews from buyers, which leads to more Poshmark sales! If for some reason you can’t make it to the post office the same day or the next day, be sure to communicate with the buyer by leaving them a comment on the item page. Remember, customer service is key! When you have finally made a sale, make sure you thank the buyer and let them know that you will ship their item ASAP. Ideally, you want to ship the item in less than two days. You can print your label and everything from the comfort of your own home, so all you need is some free shipping boxes from the United States Postal Service and you’re set! Quick note – make sure you ask for priority mail boxes ONLY when selling on Poshmark. If you use flat rate or any other type, you’ll probably have to pay for additional shipping, and you don’t want that. When you package your item, try using some tissue paper to keep it safe and adding a quick thank you note. It takes two minutes but could make all the difference in getting a return customer. I always like to let my buyers know when I ship an item as well. You don’t need to give them a play-by-play of where their item is during the shipping process, but it’s always nice for them to know that you did drop it off so they can know about when to expect it. Besides, it’s just good customer service as well! Selling on Poshmark vs. eBay: Which is Better? A shipping label is provided for you – Priority Mail ships fast via USPS! So there you have it! In my opinion, selling on Poshmark is worth it and can get you great results. 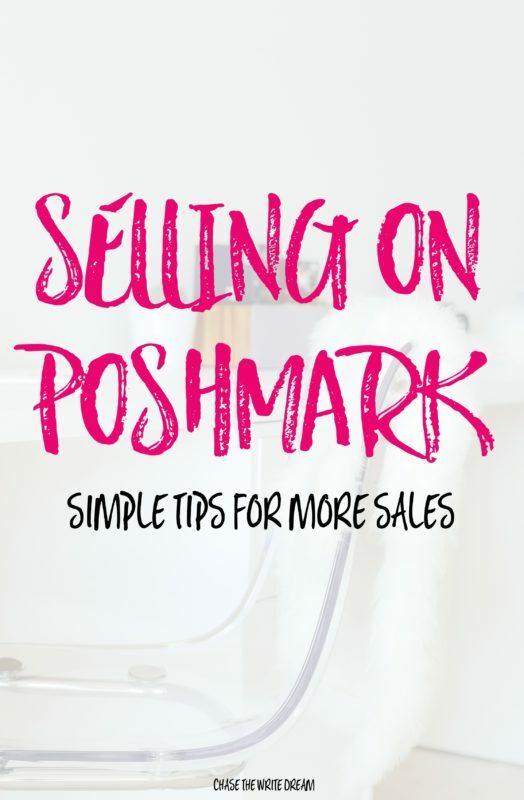 If you start selling on Poshmark with these tips, I’d love to hear your experience! Hi Frances! Google searches depend on what the user is looking for. I’d focus more on having your products show up individually so that it leads directly to the item page where the sale can happen. This is where you’ll want to implement the SEO tips I mentioned above (being specific in your listing title and description). i just did my first sell and i dont know how to retrieve the money from the person i sold it to can someone help me? After you ship your product and it’s received, the person who purchased has three days to check the product for any damage, etc. Once they accept the shipment or three days have passed, then the money should show up in your Poshmark account. Hope that helps! You can always add into the item description that reasonable offers are accepted. A lot of Poshmark users use the Offer feature as well, which allows you both to negotiate until you reach a price that you think is fair. Offers can also be rejected. As for bundles, the buyer themselves will bundle the items they want, and then they can make you an offer on those if they’d like. Under your Seller Tools, you can dictate how much discount you want to offer for bundle deals (for example, 10% any bundle with 3 or more items). Hi Tori. By far, the most informative and helpful article I’ve read on this topic. I’m brand new and have been searching for the most effective way to make sells. Thank you for your help! Now, to conquer this block I seem to have in the best way to photograph my items. The listings I have so far seem to be presenting lifeless. Any ideas on that would be most appreciated! So glad you found it useful! I think the most critical thing is good natural light and plain backgrounds. What’s the link to your profile? Hi Tori, great tips! What is your opinion on the Offer to Likers feature? I keep using it, but nobody bites! So frustrating, especially when an item has a decent number of likers. The vast majority of sales so far are from random offers. I think that it can be hit or miss for sure. I find that most sales come from random offers as well. It never hurts to try, though! Thank you for the tips. I really would like to selling more of my items. Your tips are greatly appreciated. I am just starting to research selling and wanted to know where do you get the merchandise to sell (after you have run out of personal things)? Second stores are the best! Consignment shops, sometimes even Ebay! Great advice. I have a couple questions. Where do sellers get the post that say Make me an offer, or the category like shoes then all shoes follow? Organizing I guess im asking. Any advice is so appreciated I’m not having great results. Thanks for stopping by! I’m not sure I’m following your question – if you are referencing categories, you can assign those in each listing. If you are talking about individual listings, some poshers make them that say “make me an offer” or they organize their feed so that all the shoes show up in one place. Not sure if that was what you were looking for! Thank you, Tori, for all the tips. Some seemed obvious to me but others were eye openers. My question is I see sellers with separate “windows” in their closets that have special sayings, sale promotions, etc. Where can I find them or how is that done? Ive currently been making Bitmojis of myself & adding it to my closet, but it doesn’t seem to get the same response. What do you do or suggest? Thank you again. Thanks for stopping by! I’m glad you found this post helpful. I personally don’t use “windows” but I do know that some create them on their own – you can use a service like Canva or PicMonkey to do this. I’d make a simple call to action without too much going on. Bitmojis are fun, but they don’t really have the same effect as a simple picture that says “20% off items” or something of the sort. Hope that helps a bit! Brilliant using the brush tool and exposure in Snapseed. I’ve been taking pics today and found your tip to be so much easier! I appreciate you sharing our experience and tips. I see that today Poshmark is offering Closet Clear Out. Thinking of making an ad to post about bundles will get more of a discount today. Thoughts on what you do for Closet Clear out days? And, do you know how often these occur? Here’s to an awesome year! So glad you’ve found this tip to be helpful! I’m not sure how often Poshmark does Closet Clear Outs, but I usually see them a few times each year, so keep an eye out in the app and your email. I think that if you have any items you’d like to get rid of and aren’t afraid to take a smaller margin, it’s good to drop the prices on that day. I’d also work on bulking up your listings so that when other people come to view your item, they see what else is available in your closet – it could lead to more sales! Oh, and don’t forget about bundles – you could offer a higher bundle discount and that might boost sales as well. Best wishes! I know the SEO talks about optimizing for best chance of coming up in Google searches, but I recently heard that Google also prioritizes plain white backgrounds in image searches. Would you happen to know if this is true? Because I’ve been using a paneled wall as a backdrop for my photos and it’s a medium shade of gray with lines running through it. I wouldn’t worry so much about the background – if the SEO is on-point, then you’ll have a better chance of being found no matter what! Glad you found it helpful, Rebecca! What types of items are you selling? And what brands? I started with just selling shoes, but have added some clothes and makeup recently. Brands include Nine West, Lime Crime, Loeffler Randall, Eliza J, Show Me Your Mumu, Bow & Drape, Coach, and a few random ones from Target and Amazon. What is your poshmark username? I’d love to take a look! I really appreciate that, thank you! Here’s a link to my page, username is anaya7510. Hi Angie! So one thing I’m noticing is a lot of your recent shares are for items people would be more likely to purchase during the warmer months. Also, I noticed that your descriptions don’t include the brand name, item, color, or style/model – you only have those listed in the titles. I’d encourage you to add them into the descriptions so that you have a better chance of picking up some SEO benefits. I’d also encourage you to actively share more poshers items because they will often return the favor, and that’s how you can be shown to a wider range of people! One last thing – keep in mind that even NWT items often sell for at least 50% off – a few of your items seem to be priced a bit high (especially when you consider shipping costs, etc. that the buyer has to pay). I hope that helps a bit! Hi there. My name is Frugalson on Poshmark and I’m going back and editing all of my items using a template and keywords. Thank you for this article. In your example, you put the size in the title (I believe). Since the size is already indicated, does it help to restate it in the title, for SEO? For item titles, is the following construct a good one: “Brand – Color – Item – Size”? Also, is it good to put both the retailer and the brand in the title? Thanks again! I think that adding in those details can definitely help for SEO purposes! Hi, well I’ve sold on ebay, etsy and now on poshmark. I haven’t sold anything yet on poshmark although it’s only been about a week or so but can you check out my ‘closet’ and see what I can do to improve it? Thanks so much. Hey Tori! I wanted to know if I should sell items of clothing based on the season? For example, would sweaters and winter clothes still sell during spring/summer? Thanks! Hi Ashtyn! I’d say you have better odds of selling items that are in-season for sure. 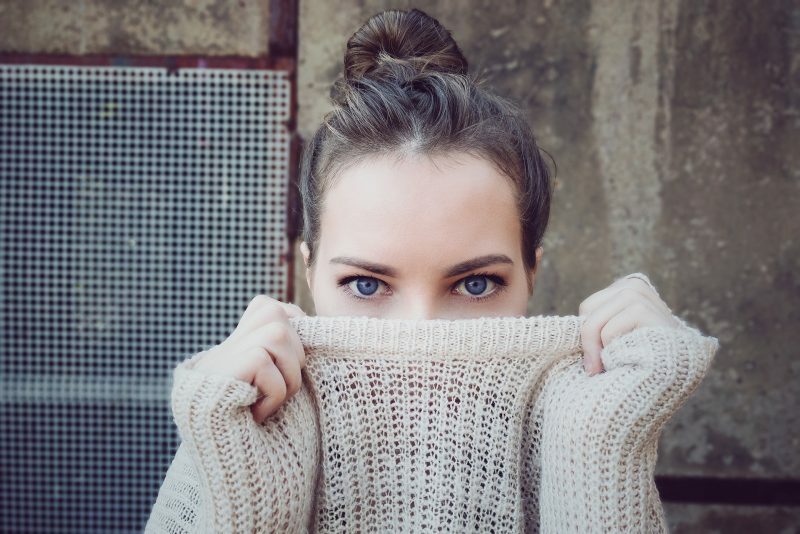 There may be a few buyers look for sweaters and winter wear still, but you’d be better off listing those during the cooler months. Thanks for sharing your tips. I was wondering about using abbreviations like: Blk (for black) or l/s, s/s (long sleeve, short sleeve and such. Do these work when buyers search an item on Poshmark or in any search engine? Thanks for the input. I would type them all out! Hello. I have been very active on Poshmark but only get sales once in awhile. Can you look at my page and let me know what I can change or improve. My page is @olgaz1989. I’ve read a lot of blogs about selling on Poshmark but this is by far the best! You are not repeating the exact information everyone else repeats. You cover those topics but provide more information. I especially like the section on descriptions. I’ve been on Poshmark about 5-6 months now and still struggle with descriptions. I am not so good in the clothing detail/description terminology. Sometimes just figuring out the style of shirt or pant is 15 minutes of work for me. I’m getting better though with help from people like you!